So where does outpatient physical therapy fit in the future of healthcare. Lets think outside the box when we answer this. We need to address all factors that affect physical therapy. Lets be new and innovative like Uber. Lets think like an entrepreneur, like Mark Cuban or Elon Musk, when solving this healthcare problem. Lets be cost-effective and efficient like Amazon. Lets create new model or a new belief, a new way of how to make healthcare better, like Steve Jobs and Apple. Can we create true value in healthcare, or what I like to call value-innovation. Lets stop relying on others and insurance companies for our success, and take full responsibility for what we will become in the future of health care. Lets remove our biased opinions and our old mindset and create something new. Think of a new creative way to get things done and improve our outcomes. Lets design a new system that will gets our patients better, faster, in fewer visits for a cheaper cost as compared to standard healthcare. Superior Outcomes and results. – Healthcare is an oversaturated marketplace with lots of competition. Elon Musk said it best “When starting a business with an established marketplace with lots of competition, your product or services must be superior to your competition. It has to a great product or service. Not a little bit better, but a lot better!” Don’t we owe it to our patients to deliver the best treatment possible and do what is best for them, and get patients better in fewer visits?” Not in the current healthcare system. We need to do what is best practice for our patients and get them better, faster in fewer visits. With this, we creates value in healthcare. In a private practice, you need a treatment approach that is superior to other physicians, chiropractors, other standard physical therapist, and anyone else in health care. If you can get people better, faster, in fewer visits, there is true value in this with treating patients with pain. If you can get a patient better in 4 visits when others are taking 12 visits, why would they not choose you for treatment? Eliminate the middle man – Go cash based. Yes, I said it. Medicare is going bankrupt and enforces so many limitations. Insurance companies don’t truly value PT services and continue to decrease reimbursement rates. Physicians are joining ACOs and will be forced to refer in house. Eliminate the middle man. 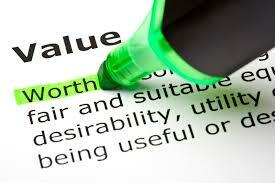 Create enough value and have a superior service than your competition and people will pay cash for your services. Target people that will best benefit and respond from your physical therapy treatments. What if you could identify what patients will best benefit from physical therapy treatment? What is you could identify what patient will best respond to your treatment approach? Identify these people and start marketing directly to them. Become confident in medical screening and during the evaluation identify red flags and when to refer out. Not everyone in pain is ideally perfect for physical therapy. Identify what patients will best respond to your treatment approach and start marketing to them. Yes, learn how to market directly to the public. Create true value innovation in an oversaturated healthcare marketplace - First, identify all of the problems your patients are experiencing with standard healthcare. Then simply provide answers to all of these problems and solve it better than your competition. Unfortunately, we can show great outcomes and implement evidenced based interventions and still struggle due to declining reimbursement and insurance limitations. Again if the average cost of treatment for acute low back pain is >$4000, and a patient has a high deductible health care plan, if you can get them better for $1500 and have personalized one-on-one care, why would they not choose you! Create cost effectiveness – given that patients will be more responsible for the financial part of healthcare, take advantage of this opportunity. For example; if you have a patient with plantar fasciitis and they have a $5000 deductible, and you are seeking medical services, the hospital care and track would cost probably over $3000, a chiropractor wants you to come in 2x a week for 8 months for a package of $4000 , and you can go to XYZ Physical Therapy for $1800. Who would you choose? Identify the patients that would best benefit from your treatment approach. Some acute musculoskeletal injuries can get better in a few treatments and the total cost could be under $450. I believe in physical therapy and we can truly add value to healthcare. We can still help so many people in pain or suffering from injuries with efficient and cost effective care. Now standard health care may keep physical therapy as “just a tool to use” or keep up at the “bottom of the totem pole” with the way current health care legislation is going. ACOs and health insurance companies may never truly see the outcomes and cost effectiveness of physical therapy, so I recommend a cash based or private pay system. No more relying on others to dictate what is best for our patients. No more relying on others for referrals to make your practice grow. No more being limited by insurance company guidelines dictating treatment and reimbursement. No more worrying about declining reimbursement. We can learn how to run a private pay small business and still treat our patients with the high quality care they deserve. Our outcomes will speak for themselves. Three years ago I started a private pay physical therapy clinic and my practice continues to thrive and grow. I currently am working with researchers at the University of Central Florida to publish my 3 year clinic data to highlight the cost effectiveness and outcomes of a cash based physical therapy practice. Many physical therapists started reaching out to me to find out what I am doing too and how I was able to grow my cash based practice so fast in an oversaturated market, so I started cashbasedphysicaltherapy.org. A proven cash based physical therapy online system, only for physical therapist, who want to open a private pay practice. Now physical therapist will know, a proven step by step system, exactly how to open a successful business and grow a cash based physical therapy practice just like I did. This is exactly what we need to do to survive health care reform and to continue to do what is best for our patients. A cash based outpatient physical therapy practice! With the proper business and marketing training, we can truly add value to healthcare, help our patients, and create real value to the public. The answer to the outpatient part of health care is simple: physical therapy value innovation.